Kazbegi Rooms in Georgia is the perfect escape for the nature-and-travel-loving bibliophile. 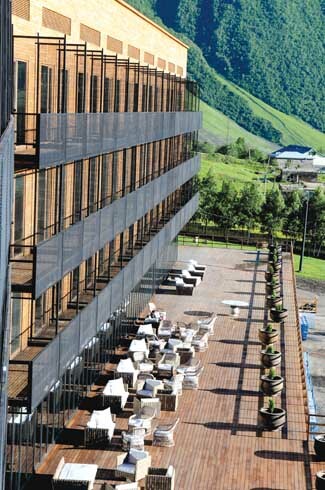 Surrounded by the brilliant beauty of the Caucasus Mountains, this hotel is a treat for all senses. What can stop all stress dead in its tracks? Sitting in a superbly airy, wood-laden space, and letting one’s jaw drop at the unspeakably beautiful scenery around? For sure! The whole structure’s cabin house feel is complemented in good measure by unusual props – animal skin rugs, wicker picnic baskets, and brightly coloured show pieces. Kazbegi Rooms knows this fact well enough, having chosen for itself a setting so spectacular that it risks becoming the foreground bit of a tourism postcard. 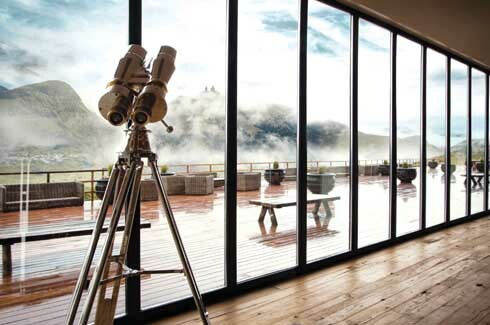 The hotel has stationed itself astutely, right in the womb of the awe-inspiring Caucasus Mountains, setting up a luxurious viewing gallery for it global guests. In the rough and tumble of Georgia’s precipitous political landscape, this thick slice of heaven has survived in all its ethereal glory. This is undoubtedly the best side of the country’s skin, and no wonder the hotel is keen to highlight it no end. The building is designed on clean symmetrical lines, with expansive porches playing host to brilliant sunshine. That said, a helpless surrender to clichés while describing this nook of the planet should be forgiven. So here it starts – staying here will seem like floating in a dream. The clouds will shroud the various tints and shades of green on the ground with such regularity that their boundaries may start to seem fluid. The well-known wild flowers that bloom here will cheer you on constantly. The snow-capped peaks, including the majestic Mount Kazbek, will tease sunlight and fill you with glee difficult to describe, or replicate. Every traveller to this place is a guest of the mountains; the hotel is just a prop. And Kazbegi Rooms is all fine with playing the reliable sidekick. It may house 156 rooms that offer varying degrees of essential comforts and leisurely indulgences to whomever walks in through its doors, but it is also acutely aware that it stands on the lower level on the beauty pageant winners’ podium. 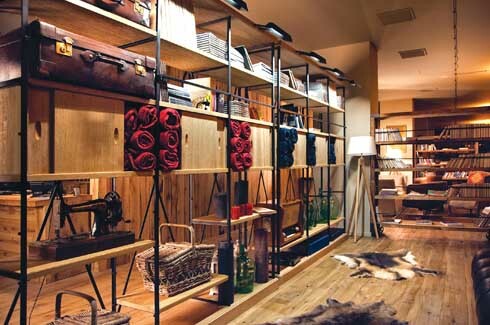 But ignoring the hotel’s efficiently restrained design aesthetic will be unfair. The whole building has a solid wooden shell and interior, stretching out in generous sweeps across the landscape. 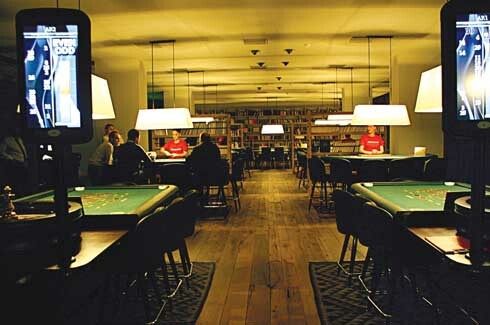 For the club-loving guests, there is a casino with Black Jack, Roulette, Texas Hold’Em Poker, 6 Card Poker and Slot machines on offer. This is that elegant, all-providing cabin house of every childhood dream – it has a a wide porch with sturdy wicker chairs baking in the happy sunlight; there is great Georgian food to gorge on; a staff of 100 attentive people at your command; and yes, it truly is possible to run, or use the hotel’s quad bikes, into the mountains! The Kazbegi Rooms building is a smiling block of dark and darker wood, parked at the foothills of mighty mountains. Its profile may take after the drabness of college staff quarters, but its interiors know what true elegance is. 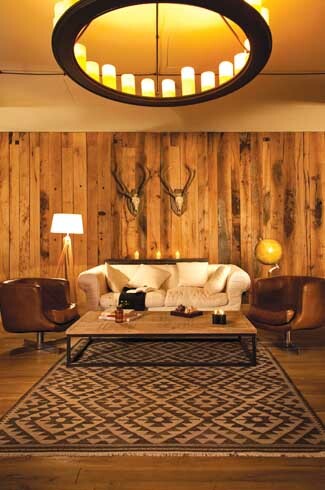 The endless floor and wall sweeps of highly textured wood is the hotel’s most confident statement of understated beauty. Add to that the tables and high shelves, stools and benches, and you have Woodstock in the mountains! The accenting though is judicious. The chandeliers are old-style circular trays for candle-holder lamps. The carpets don’t take up much space, and there are animal skin rugs lying about. In this brown universe, pristine white crockery (on the shelves and on the family tables) looks impishly good. The dining area again has room enough for the guests to levitate, with a grey-toned wall at one end for a fireplace to rage in it. Wood dominates the look in the rooms, but is brilliantly off-set by an unusual spattering of black, including thick dark curtains that frame the window view. 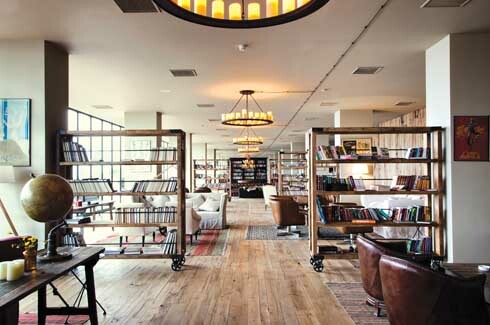 The Rooms Hotel chain could not have made a more beautiful entry into the business of providing understated luxury to the books and nature-loving global travellers. 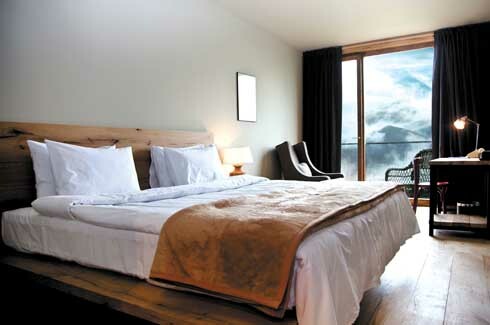 The scale of Kazbegi Rooms’ ambition is huge, but its treatment is calm and refined. For all the warm touches it has included in its interior design, every guest will remember the fresh air, the colourful views, and the company of the mountains the most. But then, no guest is going to complain about that!